We received a phone call from a vet – there is a cat whose owner brought her in to be euthanized because they didn’t want her anymore – could we take her? We welcomed MK into our CG family to help her find a new home with a family that will appreciate her. 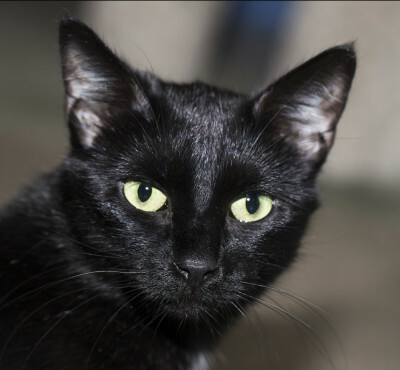 With her beautiful green eyes and luxurious black fur, MK is one beautiful lady. Once comfortable with you, she’ll plant herself on your lap for some serious love time. MK would do best in a quiet home where she can reign supreme!